High Altitude Balloon Project Based in West Yorkshire run by Anthony Stirk M0UPU. Project AVA covers a variety of boards and launches I've done. My first launch was on a very sunny day in October. Due to relative inexperience we didn't put enough gas in the balloon and it ended up floating out to sea. Additionally the GPS failed due to interference from the small video camera. Recovery was initiated by boat and despite the failure of all the electronics due to salt water the pictures were spectacular. pAva was another prototype board this time using the RFM22B and the chip antenna to create an ultra light (5g) PCB tracker. As there was a possibility of float we fit 2 AA batteries which would have powered it for 36 hours+. However pAVA climbed to over 43km before the balloon failed. The decent took a few hours as the balloon split and acted like a huge parachute. In the end pAVA took the 4th highest altitude in the world for an amateur balloon. pAVA was kindly recovered by Dave Akerman from a field full of wet triffids. See http://ava.upuaut.net/?p=315. Testing the µAvaNut PCB and flying a GoPro camera this was another sucessful flight. Unfortunately the Gopro footage wasn't perfect as the lense again steamed up. Won't be flying the case next time. Write up in the same article as listed above. AVA is always very pink. 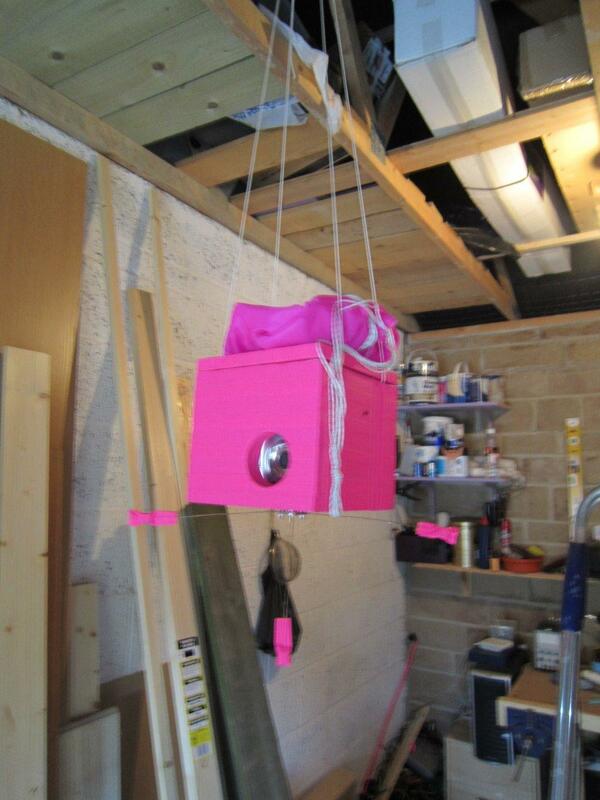 When I'm not launching pink boxes I am the technical director of an IT Consultancy in West Yorkshire.